This is a video made in collaboration with my daughter. Its starting point was a reproduction of the painting Cherry Ripe by Millais. 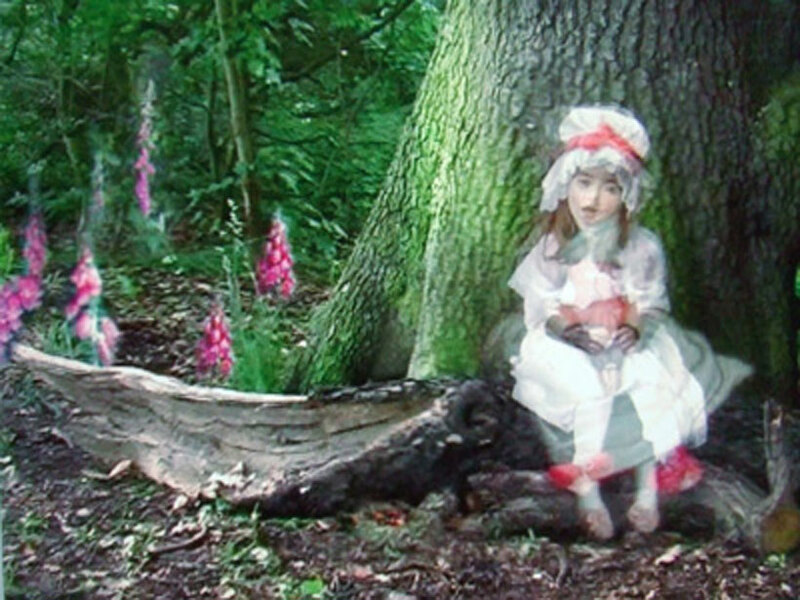 In the painting and in the video a young girl sits on a fallen oak tree in the middle of a dark forest. This work alludes to myths of the life giving properties of the ancient oak tree and the darker myths about stranger danger and the perils of bringing up a child in the beauty and fashion saturated competitive society that Britain is at the moment. My daughter is telling secrets both to the tree and to the camera.